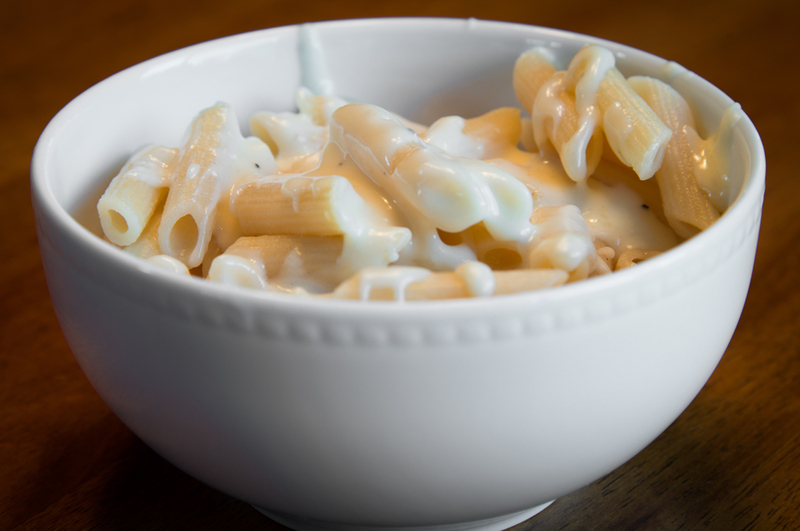 This is a sort of “grown up” version of mac and cheese, but I think kids would like it too! I found it on MyRecipes.com and barely had to change a thing (just made two things gluten free)! Cook your pasta according to the instructions on the package. Meanwhile, mix flour and 1/2 cup of the milk in a large saucepan over medium heat, stirring until smooth. Gradually add the rest of the milk while stirring. Bring to a boil for two minutes while stirring constantly. Stir in the butter. Remove from heat and let stand for 4 minutes. Stir in the salt and pepper. If there are lumps of flour still in there, strain into a glass bowl using a mesh strainer. Put the pasta back in the pot it was cooked in and pour the cheese sauce over the top and mix together. This entry was posted in Recipes and tagged Brie, cheese, fructose malabsorption, Gruyere, macaroni and cheese, pasta by nosugarlessgum. Bookmark the permalink. This looks amazing, I def. need to give this recipe a try!!!! It’s one of my favorites so far!